HT23-594 Base, single shaft motor. 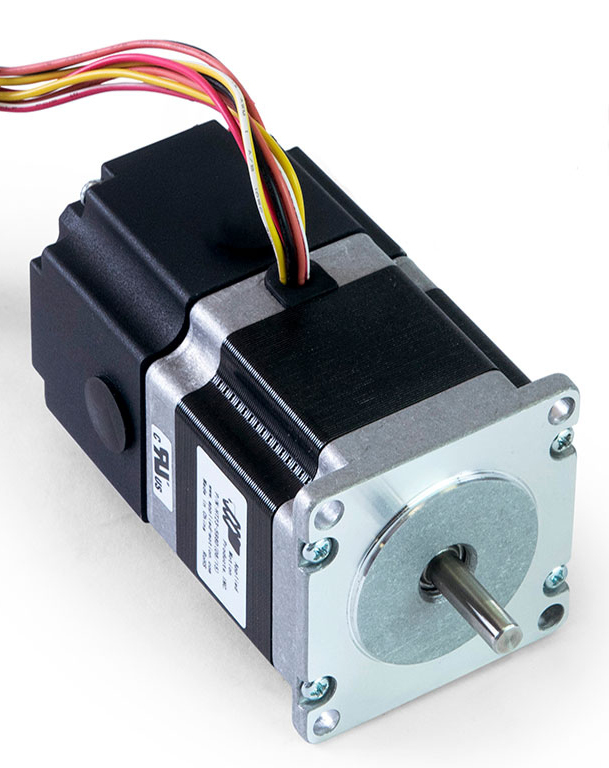 HT23-594B Motor with 24-volt holding brake mounted to rear shaft and end bell of motor. 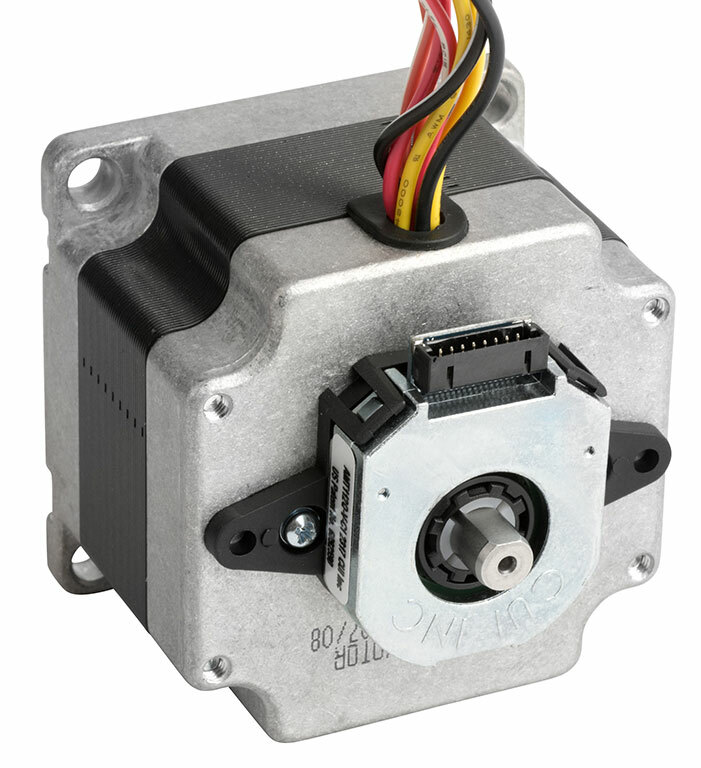 HT23-594D-BAA Motor with BAA type capacitive encoder mounted to rear shaft and end bell of motor. 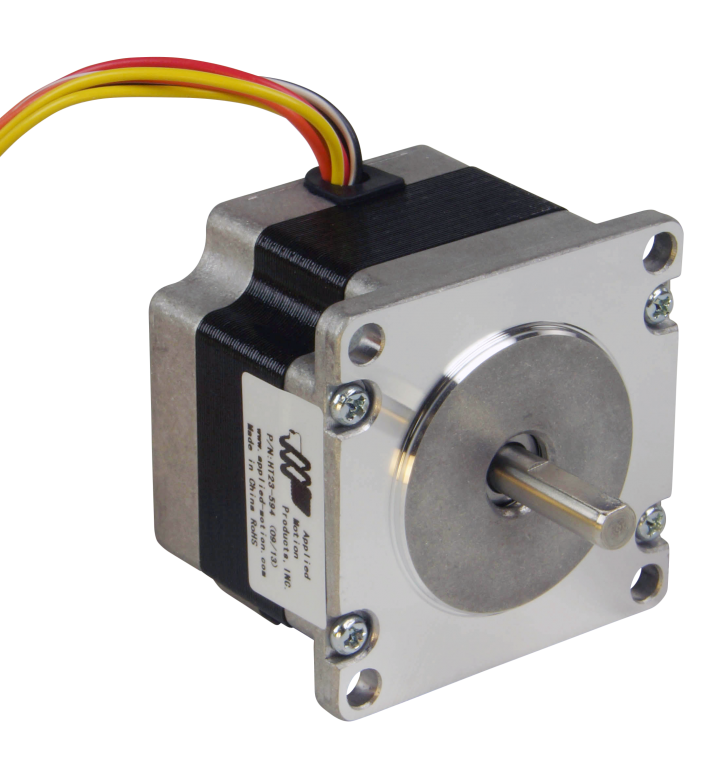 Not recommended for use with Applied Motion stepper drives to perform Stall Detection and Stall Prevention functions. Intended for use in applications where single-ended signals are acceptable and ambient electrical noise is well controlled. 2,000 CPR (8,000 counts quadrature); A, B, and Z (index) channels; single-ended outputs. Additional resolutions (CPR) available upon request - use the quote request form below to inquire. The single shaft (HT23-594) and double shaft (HT23-594D) versions of this motor are UL Recognized in the US and Canada, file no. E472271. The encoder and holding brake options are not included in the listing.